My own experience has been that with time I developed all the above problems with the exception of higher blood pressure. I got physically and emotionally sick. It has resulted in many visits to the doctor for medications as well as osteopathic manipulation of my neck and back because my muscles were so tight and knotted I sometimes had trouble breathing. Stunned would be an understatement. How could I have post-traumatic stress syndrome? I thought this was something only experienced by veterans. So on top of the physical issues I am dealing with I am now trying to cope with PTSD. Great. Admittedly, when the doctor first brought this up and after the initial shock of hearing it, I know that it is true. I am suffering with PTSD. Are you? If that isn’t bad enough, people who are bullied suffer a decline in their work performance. There is no doubt that the effects of workplace bullying can be life shattering and the physical and emotional results can be overwhelming. Not everyone has the option of quitting their job. After all we all need money to survive. My situation has been that there aren’t any jobs in my field (trust me I’ve looked and looked and looked). On top of that, I am nearing retirement age and let’s be real, no one is going to hire someone that is about to retire. I also don’t have a second income to help with support while looking for another job. So I turned to the internet. I came across Wealthy Affiliate, did my research, found it to be one of the rare reputable companies out there, and joined. It has been a wonderful experience and as I am learning and creating websites I am confident that soon I will be able to leave the workplace bully behind and good riddance! 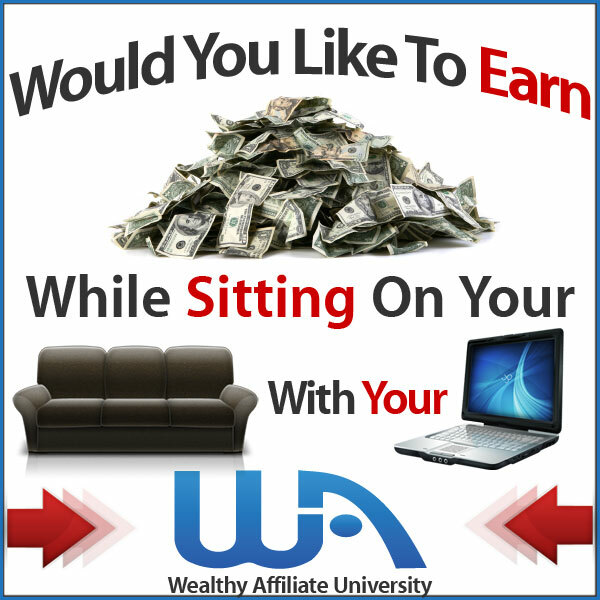 If you are in a similar situation as me, you should look into Wealthy Affiliate as an option. It certainly doesn’t hurt to try! In the meantime, I have to get my mental and physical health in good working order. My frequent trips to the doctor and the various medications tried just haven’t helped. I seemed to have side effects from the medications and try as we might, my doctor and I just couldn’t get “me” under control. Again, I reached out to the internet. I wanted to find something that was all natural and organic that would help with all my physical and mental complaints. I came across CBD Oil and the many, many reviews and opinions about this product. Several studies show CBD activates the same brain areas as opioids, believing to exert an analgesic effect. The endocannabinoid system is known to play an important role in the control of synaptic transmission in pain pathways, so by activating this system, cannabinoids may act as neuromodulators for a series of physiological processes, including pain-sensation. Moreover, studies suggest that through its analgesic and anti-inflammatory properties, CBD oil may reduce pain. However, CBD is a supplement and not FDA Approved. Thank you Stacey for your great article. Well, I decided, I might as well give it a try. I have been using CBD Oil for a while now and I am seeing great improvement! I am certainly less stressed, my stomach has almost stopped hurting, and I think the PTSD has improved because I seem to be coping with the day-to-day antics of the workplace bully much better! No anxiety attacks, no feeling like I am going to lose control. Thank you, CBD Oil! If you would like to learn more about CBD Oil and its many benefits, click here! This really is a great article and really outlines what can happen to a person working in a hostile environment. I hate that you have had to put up with such a bully to the point of developing PTSD that must have been devastating. I would say you are a very strong person to still continue employment there as many people would just leave. I commend you for looking for other employment and/or other opportunities such as Wealthy Affiliate, as it is unfortunate that their are not other jobs available for you in your field. I do know as we approach retirement it is harder to find another job as employers prefer someone with staying power and yes, discrimination does happen when applying for jobs. I am happy that you were able to find CBD Oil and have found some relief from the daily torture of a bully, I have been using it myself as I hate regular pharmaceuticals and yes, it does work. Good luck to you and hope you find peace in your retirement. Thank you for commenting Dena. I doubt most people realize how devastating it can be to work in a hostile environment day after day. It does have mental and physical effects on a person. It would have been much easier for me if I could have just quit, but as you point out, there is age discrimination in the work force. It also hasn’t helped that I live in a remote rural area with not a lot of opportunities. But I am hanging in there and I truly believe that with the guidance of Wealthy Affiliate I can find my way out of this mess. And the CBD Oil is most definitely helping me with the day-to-day stress, so I’m doing good! I believe in my heart that retirement is close at hand! I know of someone that face this issue you are talking about. My former supervisor also bullied me around until I stood up to him and he never bothered me again up to the time I left that place almost seen years ago. help is out there no one has the right to bully you just seek help stand up and refuse to get bullied. Thanks for your comment Norman. I am sorry you know someone dealing with a workplace bully and I am sorry you also had to experience it. I believe you when you say that help is out there. I really think I have found the way out and with time and a little more patience I can achieve my dream! I have had my share of workplace bullying. And I still get it today. The difference is that in the past the bullying was when I was working full time. Now, I work part time. It still happens but I can just brush it off because it is only a part time job. What happened was at one of the places I do part time teaching. And one of the admin staff, a young and arrogant man, would find ways to drop comments in an attempt to put me down. I hardly interact with him for work purposes, and for him to behave that way left me to conclude that it is his problem. He has low self esteem and the only way he can feel good is to put others down all the time. So, just like I said, I simply ignore his hurtful words, and just carry on with the job. Also, I don’t answer to him. He is not my boss. Just an annoying person who happens to work in the same work place. I too, like you, discovered Wealthy Affiliate. And yes, it is the best! People who wish to have their own business and live a lifestyle they desire should consider joining. Even though you are not working around the bully on a full-time basis, I imagine there are days when he gets to you no matter how hard you try to brush it off. For me, it took a while before I started having actual physical symptoms of stress from dealing with the bully. I thought I could handle it but over time realized that it was effecting me much more than I thought. So be careful with that guy! I am counting on Wealthy Affiliate to get me out of this place! Thanks for your comment, Timotheus, it is much appreciated!